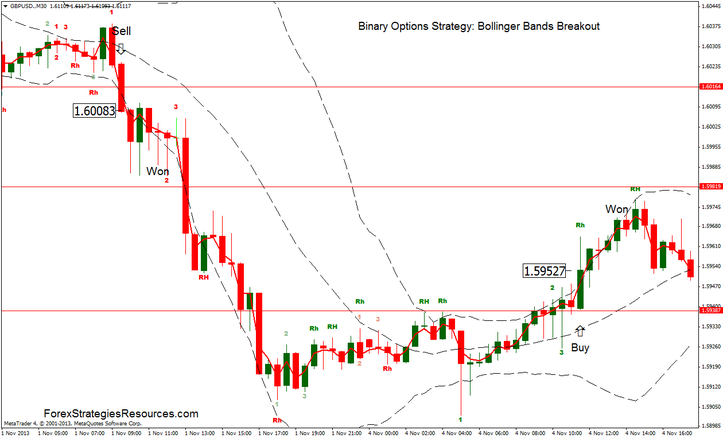 This Binary options strategy is very effective and accurate. When the price previously broken the lines on Rh high & then closed above the upper bollinger band, open a buy call position at opening of the next bar. When the price previously broken the lines on Rh low & then closed above the upper bollinger band, open a buy put position at opening of the next bar. 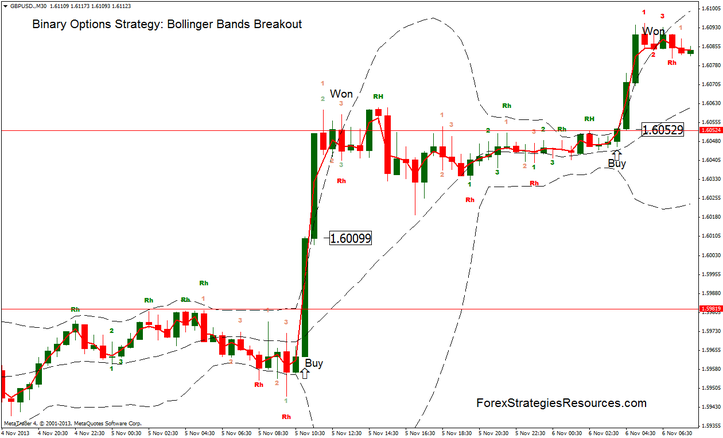 Open two positions during the same breakout only if the price retraces on the moving average (20 periods). I recommend, using this strategy in markets trend 4H and Daily time frame. This is the most important condition for using this strategy with profit.